My reaction to The Artist has left me very conflicted. This is a film I’ve been intrigued to see for months. Not because I thought I was going to be amazed by a silent, black and white film in 2011. (That argument is just ridiculous.) Rather The Artist looked like a charming homage to early cinema and quite enjoyable. And even though I enjoyed the film, something was off. To me this is not the best film of the year, a fact that leaves me troubled (and irritated) as we move into the final push of the awards season. 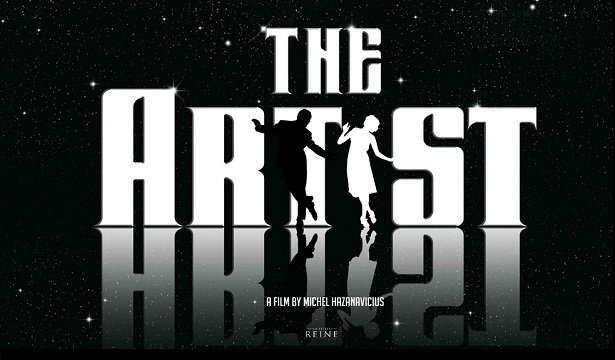 The Artist is a standard story of success, failure and redemption set against the backdrop of the silent film era. George Valentin (Jean Dujardin) is a major screen star in 1927. His movies, co-starring his beloved Jack Russell Terrier, are huge hits with audiences. Valentin has a massive smile and an enormous screen presence; it’s easy to see why he’s adored by fans. At the premiere of his latest film, Valentin accidentally bumps into Peppy Miller (Bérénice Bejo) outside of the theater, in front of the paparazzi, for all of the world to see. Peppy’s picture makes it into all of the papers under the headline “Who’s that Girl?”. Later Peppy encounters George at an audition. He insists that she is given as a small part in his next film. Soon Peppy’s career is taking off as George’s begins to spiral out of control. Hollywood is on the brink of the sound era and in 1929, the studio boss Al Zimmer (John Goodman) announces the end of all silent film productions. Unless George adapts to the changing industry, he’ll be out of a job. Despite his best effort to produce, write, and direct a silent epic that will prove the industry wrong, George loses everything. His home, his wife, his career. (The stock market crash doesn’t help either.) All that is left are his dog, his driver Clifton (James Cromwell), and a few prized film reels. George Valentin becomes a forgotten star. Meanwhile, Peppy Miller has become a successful actress, headlining movie after movie. But she has not forgotten about the actor who helped her break into Hollywood. Peppy, along with a few key friends, help George get his life and career back on track. The Artist is a wonderfully charming film. It’s a fantastic tribute to the silent era that will make any cinephile giddy. It’s a technical achievement. Writer and director Michel Hazanavicius as well as cinematographer Guillaume Schiffman have really created something special and admirable. Likewise, Dujardin and Bejo are great in their performances; they exhibit how expressive an actor must be in a silent, melodramatic film. And yet, The Artist is safe and predictable and because of this, it’s boring. The most exciting part of the film occurs when George Valentin wakes up and is suddenly able to hear sounds. Except he cannot speak. He is a silent film star trapped in a sound-filled world. For Valentin, this is a personal hell. In this scene, everything – the story, the technique, the acting – comes together to create an exceptional moment of cinema. And then The Artist returns to the story and it becomes contrived again. Not even an adorable dog could keep me too invested. Maybe I was expecting more from The Artist but I left the theater wishing I had seen an actual silent-era film instead. Interesting take. I’ve yet to see THE ARTIST – soon, tho, soon – and I’ll be interested to see how it strikes me after reading your reaction.